the photo on this album was created by Minnesota photographer Stephanie Torbert (the web does not do it justice). "New-age? Light jazz? Adult-contemporary? 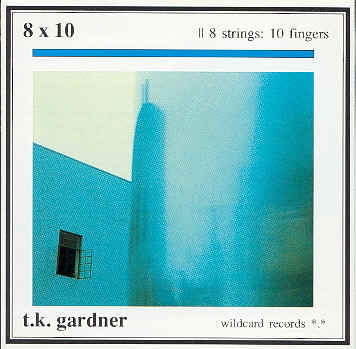 The 8-string guitar work of TK Gardner may be hard to classify, but it makes for great listening. Too much of so-called space music is just that -- vacuous. Although Gardner's music has that new spacious sound, it also has definition and real substance -- integrity. This is how new-age music should sound." You may purchase this album by going to our CDBaby.com webpage.